I can still remember my son waking me screaming "Mom the plane hit the building!!" I rubbed my eyes and told him it was just a TV show. "No Mom, the reporter said that it was the World Trade Building". I still didn't believe him, but I got out of bed and went to the kitchen to get a cup of coffee. My ex-husband had not left for work yet so we were all sitting in the living room watching the TV, and trying to understand what was going on when the second plane hit. We all stared in silence, it was still hard to wrap your mind around what was going on. Finally my daughter, who was only 9 at the time, turned and asked me, "Mommy why did the airplanes crash into those buildings?". At that moment my ex-husband and I looked at each other for an answer to her question, but we really had none. I still couldn't believe it was real. I spent that entire day in front of the TV. Crying. 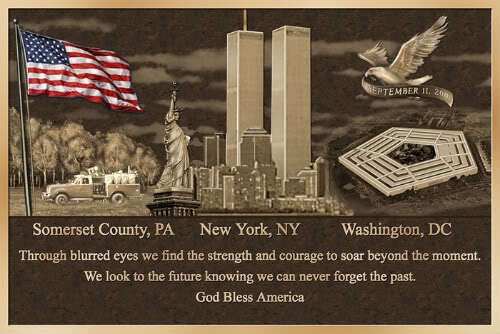 It is hard to believe it has been 12 years now. I remember those feelings like it was yesterday. Which is good I think. We need to remember. Remember to hold those we love a bit closer and make sure they know how we feel. We need to appreciate everything that we have and never take it for granted. Today I will be spending the day with my children being thankful for every precious moment. I too remember that awful day. I was 5 months pregnant with our daughter and our son was just 2. Thankfully my husband was working from home that day. I too spent days in front of the TV, not quite believing what was going on. 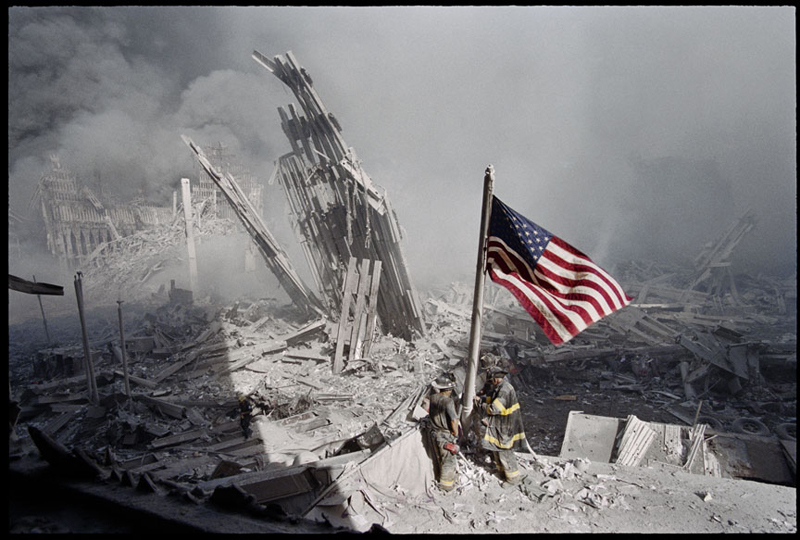 Seeing the towers fall was one of the most terrifying and saddest things I have ever witnessed. I so agree with you, we can not and should not forget. Thank you for a beautiful piece. It is amazing how tragedy can open your eyes to things you didn't realize before. I thought about those people that would never be able to see friends and loved ones again. Never have that last chance to tell them how much they meant to them. Now I tell my love ones everyday how very much they mean to me. My kids will send me random texts just saying "Mom I love you so much! ".